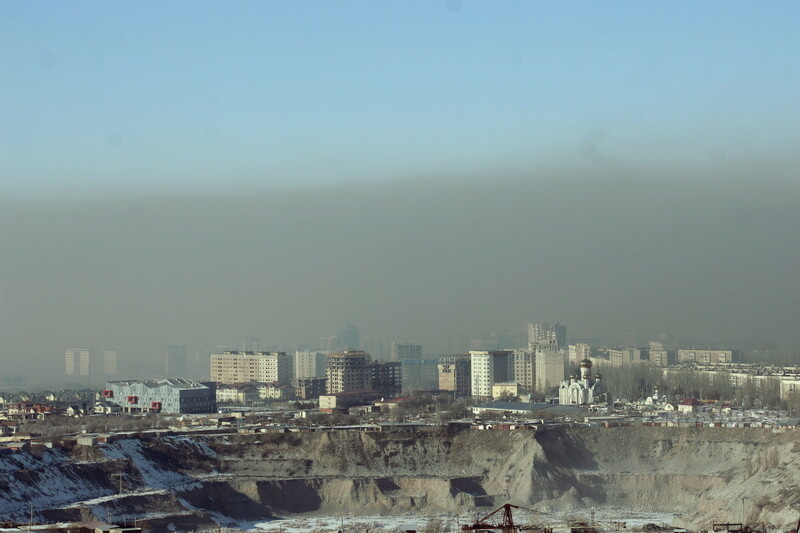 Where does Bishkek smog come from? 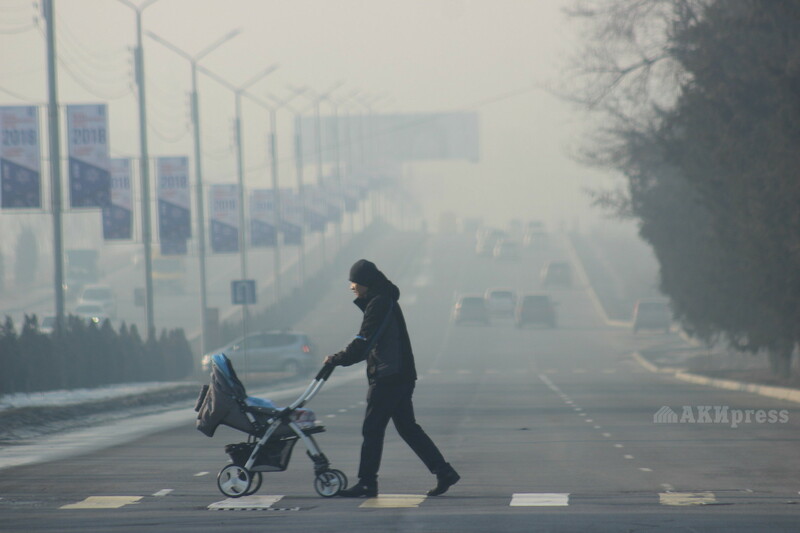 AKIPRESS.COM - Smog in Bishkek is prompting worries among not only experts, but also ordinary inhabitants. While the citizens blame Bishkek Combined Heat and Power Plant for the air pollution, the CHPP denied allegations and organized a press tour on January 10 to tell how the new turbines work and how many pollutants the power plant emits. 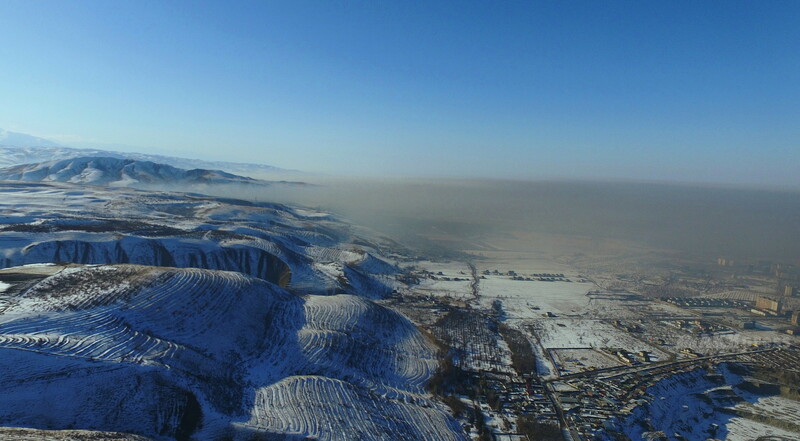 “Now that there are a lot of unreasonable allegations about the Bishkek CHPP's being the reason of atmosphere pollution, we're repeating that CHPP emissions do not exceed norms and are controlled by ecologists. Energy enterprises contribute 14% to the overall air pollution, and the main sources of air pollution are cars and private sector," Director of CHPP Nurlan Omurkul uulu said during a press-tour. The smoky fog or just smog is a type of air pollutant. Smog is derived from vehicular emission from internal combustion engines and industrial fumes that react in the atmosphere with sunlight to form secondary pollutants that also combine with the primary emissions to form photochemical smog. In certain other cities, such as Delhi, smog severity is often aggravated by stubble burning in neighboring agricultural areas. The atmospheric pollution levels of Los Angeles, Beijing, Delhi, Lahore, Mexico City, Tehran and other cities are increased by inversion that traps pollution close to the ground. It is usually highly toxic to humans and can cause severe sickness, shortened life or death. Kamil Sultanmuratov, the chief inspector of the ecologic safety of the State Ecological Inspectorate, said that one of the main sources of pollution are: CHPP, other heating facilities, processing enterprises that use fuel oil, solid fuels, coal and others. 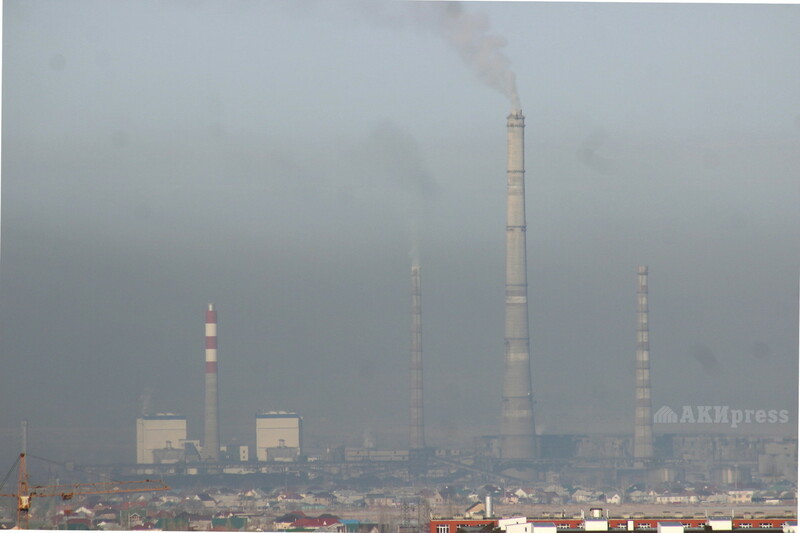 However, Director of CHPP Nurlan Omurkul uulu said the CHPP is not the only source of pollution and blamed cars and private sector for air pollution. The new turbines of the plant have modern smoke cleaning filters and emissions from CHPP account for only 14% of total emissions in the city. Sultanmuratov confirmed that almost 65-70% of emissions in the city come from cars. "The number of vehicles is increasing annually. 320,000 cars were registered in Bishkek in 2016. Together with the transit transport, this number nears to 500,000. According to some reports, Bishkek is designed for only 50-60 thousand cars, but today this limit is exceeded by 10 times. Their emissions pollute the atmosphere," he said. People are complaining about the air pollution in Bishkek and the inspectors are checking the energy and processing enterprises, imposing fines for concentration excess. Fines this year totaled 250,000 som," he said. According to ecologist Emil Shukurov, Bishkek is situated in the hollow where natural ventilation is very bad. "We have strong winds very rarely, therefore have air stagnation. One more reason is that during the cold weather the air temperature in the city is 5 degrees warmer than the temperature of atmosphere. At this "warm hood" does not let light winds in here becoming a a barrier for city ventilation," he said. But the main ventilation barrier is man-made: the general layout of the city of Pishpek allowed only open vertical and horizontal streets so that the city was ventilated. Now city architects ignore it and all the streets are plugged. "Even those more or less ventilated streets now are having high-rise buildings. This is an irresponsible attitude taking into account the interests of citizens," the expert said. Mayor of Bishkek Albek Ibraimov suggested to plant a forest on the Orto-Sai hills on the southern outskirts of the city to increase the humidity level in Bishkek by 40%. Professor of ecology Emil Shukurov welcomed the initiative saying that this is a very good idea. "It will be good if the forest will have large woods, because they are biotic pumps that have a moist air over them, but it is not enough for precipitation. But when added, the precipitation falls by 40%. Precipitation falls not only on the wood areas, but also in the vicinity, that is, more precipitation will occur in the city. Precipitation is important for washing the atmosphere. Rain and snow perfectly clean the air. We have a dry climate," he stressed. Reducing the number of cars in the city is another way to tackle air pollution. Inspector Sultanmuratov believes that it is necessary to limit the number of vehicles entering the city and choose other roads outside Bishkek for cars traveling through Bishkek.